Welcome to the Université Libre de Bruxelles! In the heart of Europe, just 1h20 by train from Paris, 1h30 from Amsterdam, and 1h50 from London and Cologne, Brussels offers all the advantages of a capital city and the quality of life of a large and lively town. Brussels is home to all the major European institutions. It is the official seat of the EU and many other political and economic decision-making entities and boasts a growing number of businesses, organisations and international experts. The long tradition of hospitality and exchange in Europe's greenest capital means visitors and residents alike can enjoy a broad mix of world food and music, while culture vultures can choose from a host of museums and shows. Located in the heart of the city, the Université Libre de Bruxelles or ULB also offers many cultural, festive and sports activities. The university campuses and surrounding areas are extremely attractive, providing just the right mix of study and leisure. As a multicultural university with one-third of students and researchers from abroad, international relations is a daily reality for the Université Libre de Bruxelles, just like the city of Brussels itself, one of the world's most cosmopolitan cities. Collaboration with universities from around the world has been stepped up in both education and research, thanks in large part to the various European mobility programmes. In addition to student mobility programmes, the University offers diverse integrated programmes with foreign partners, including joint Master and doctoral degrees. Several of these programmes have received the prestigious Erasmus Mundus accreditation. Its outward-looking position with regard to Europe and the world has resulted in a number of agreements, collaborations and special partnerships being set up with some of the world's top universities. 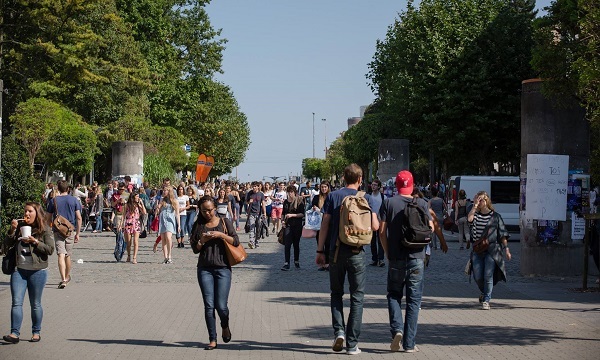 With many years of experience on the international stage, the University launched UNICA, a network of 45 leading European universities that encompasses over a million students. It is also a founding member of the International Forum of Public Universities (IFPU). Over the years, and despite limited resources, ULB has been able to sustain its level of excellence and meet its public and social responsibilities. The University believes that it can help in the creation of a more just and democratic world by contributing a relationship of trust, a critical dimension and the impartiality required in a globalised world. The Université Libre de Bruxelles is an active member of the Research Area and is involved in almost 130 projects financed by the 7th European Framework Programmes. Over the past few years, it has obtained 7 starting Grants from the European Research Area (ERC) to finance research in Medicine, Economics, Mathematics, Sociology, or Political Science, as well as 2 Advanced Grant in Artificial Intelligence and Physics. In addition, the University's Institute for European Studies is recognized as a “Jean Monnet European research centre” for its work on European integration. The Université Libre de Bruxelles has 13 faculties, schools and specialized institutes that cover all the disciplines, closely combining academic input and research. It offers almost 40 undergraduate programmes and 235 graduate programmes. It also partners 20 Doctoral schools, with almost 1,600 PhD in progress. Some of our Master programmes focus on transdisciplinarity, whilst others place more emphasis on international relations through European Masters degrees, or on multilingualism. We have also been working in close collaboration with the VUB (Vrije Universiteit Brussel - Brussels Flemish-speaking university) for a number of years. "The Université Libre de Bruxelles bases its teaching and research on the principle of free inquiry. This postulates, in all domains, independence of judgement and the rejection of an authority-based conception of knowledge." (1st article of the statutes of ULB). One specific feature of ULB's teaching is to offer students their personal freedom while also providing them with the necessary support. It is up to the students themselves to take advantage of the opportunities and the numerous forms of support which are available to them: the University is thus a school of responsibility. The most striking innovations have been introduced at postgraduate level. These programmes, some of which are taught during the evening and on weekends, are aimed in particular at working adults, and are based either on newly emerging social and economic needs (euro marketing, corporate governance, etc), or on advanced research (aesthetics and the philosophy of art, the philosophy of science, bioinformatics, etc). New and innovatory courses of this nature build themselves on ULB's long-standing tradition of ULB while developing it further in new directions. As a French-speaking university, most of the courses at the Université Libre de Bruxelles are delivered in French. However, a growing number of Master degrees are partly or entirely delivered in English. The University offers a wide range of French courses, prior to and during the academic year, to help its international students improve their language skills. 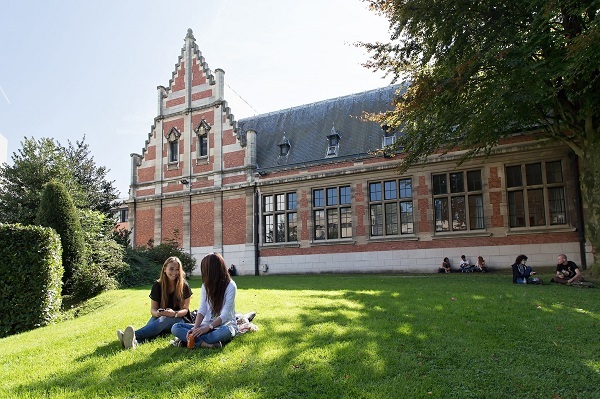 The Université Libre de Bruxelles is determined to give everyone the chance to continue their higher education studies and has developed a range of student support initiatives: e.g., financial and psychological support, guidance, French classes, etc. The University also provides off-campus academic support. One notable example is a support programme for underachieving secondary school pupils (Schola) which was awarded the UNESCO Comenius prize. Since its foundation in 1834, the Université Libre de Bruxelles has been closely involved in the ongoing debate on critical thinking and freedom. This has included outspoken opposition to dictatorships and other nationalist abuses, the promotion of equal opportunities and a raft of other social issues. After founding one of the first NGOs (CEMUBAC), the University has continued to play an active role in development aid and international cooperation. European and international, welcoming an independent, committed and dynamic, the Université Libre de Bruxelles can also count on its vast global alumni network (UAE), the University's best ambassadors. Based on the principle of free enquiry that postulates independent reasoning and the rejection of all dogma, the University has retained its original ideas as a free institution that is firmly engaged in the defence of democratic and human values. The Université Libre de Bruxelles bases its teaching and research on the principle of free inquiry and has always given its students the possibility of playing an active and participatory role in University life and in the evaluation of the teaching they receive. Indeed the principle of free inquiry, which is founded on independent judgement and a rejection of an authority-based view of knowledge, is enshrined in the University's statutes. As a result, ULB is one of the few Belgian or even European universities where students are represented on all decision-making bodies. In the same spirit, a systematic teacher assessment procedure has been in operation for over twenty years and is based on students' own assessment of their teachers' pedagogical abilities.